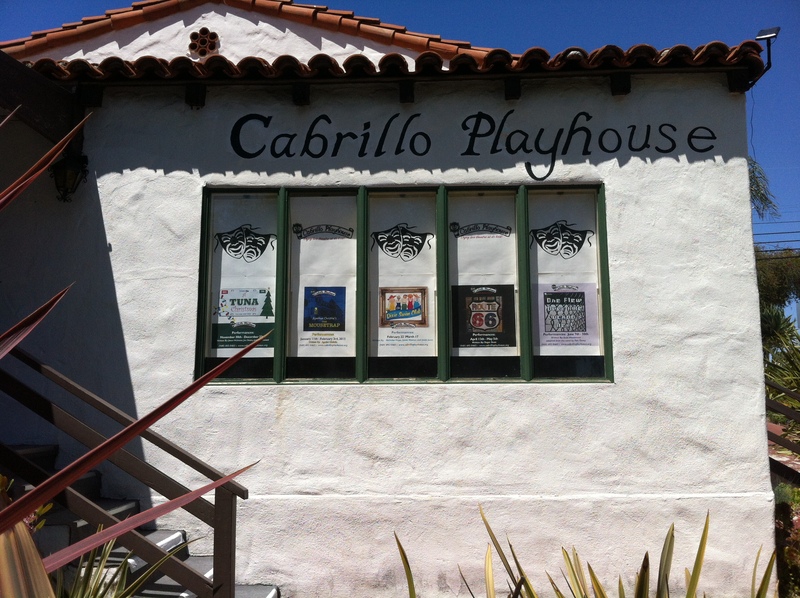 Cabrillo Playhouse is our local community playhouse here in San Clemente, Ca. . The San Clemente Community Theatre was chartered as a non-profit corporation on March 6th 1953 and the first president was Evangeline Nelson. On September 14, 1953 the group’s first play, Two Blind Mice, directed by Tom Gilmore, was presented at the then-called Casino, later Sebastian’s West, later South Hampton, and so on -. Following this, plays were performed “from pillar to post” … on stage in the old Las Palmas School’s all-purpose cafetorium and auditorium, as well as in the round there and at Concordia School, and the Elk’s Club. 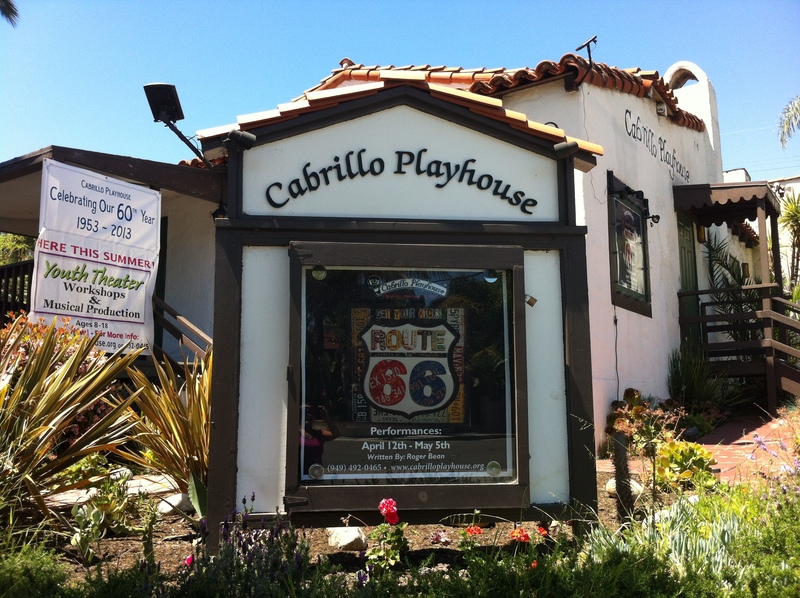 The Cabrillo Playhouse opened in 1966 established by the non-profit San Clemente Community Theatre. The Playhouse represents the nostalgic past of our great city. Built in 1928, our building was most notable as the home if William J. Barry, the first city clerk in the history of San Clemente. The San Clemente Community Theatre was founded in 1953 and in 1966, the troupe moved right here in the process converted the historic, Ole Hanson-style home into our beloved, “intimate” 66-seat theatre. Today the season charge for the 5-play series is $80.00 – still the best value for live entertainment in Orange County. The next time you are in San Clemente, Ca. make sure to check out the playhouse events and catch a live play. This entry was posted in Photo Challenges, San Clemente, Ca -, Surf Content, Thursday Lingering Look at Windows, Weekly Photo Challenge and tagged Arts, Cabrillo Playhouse, Musical theatre, Ole Hanson, Orange County California entertainment, photo challenge, San Clemente playhouse, San Clemnete arts and entertainment, Thursday, Thursday lingering look at windows, Travel & tourism, week 15, window, Windows. Bookmark the permalink. This is wonderful. I love plays and I love history! Thanks for the info it was a joy to read and see. Thank you ! I enjoy this challenge more every week. It makes me think out of the box that create posts like this one. Have a great week.